To submit a podcast to iTunes, you need to provide iTunes with your RSS feed URL. iTunes will then regularly check your RSS feed for new episodes and other updates. You can do this directly from Omny Studio. 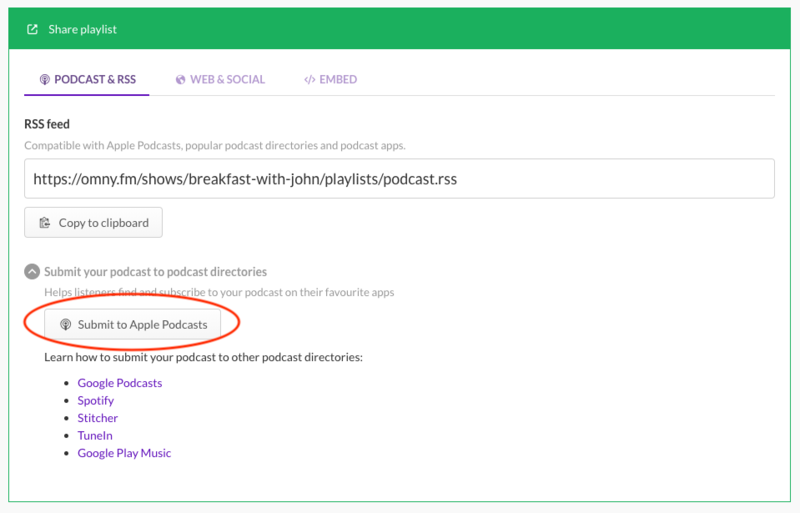 Expand "Submit your podcast to podcast directories"
Click "Submit to Apple Podcasts"
4. The link will take you to your Apple Podcast Connect portal. Make sure you're logged in with the Apple ID that you want to have ownership over your podcast. Review the details and click submit when you're ready. 5. Once you've you've submitted your podcast, Apple sends you an email to confirm your podcast is under review. If approved, Apple sends you another confirmation email indicating your submission review is complete. Your confirmation email also includes the link to your active podcast. n.b. it can take up to 48 hours to have your feed approved. If there was an issue with your podcast (for example, missing <language>, <itunes:category>, or <itunes:explicit> tags), Podcasts Connect displays warning and error messages along with the current status of your podcast. Fix any validation warnings or errors and submit your podcast again. 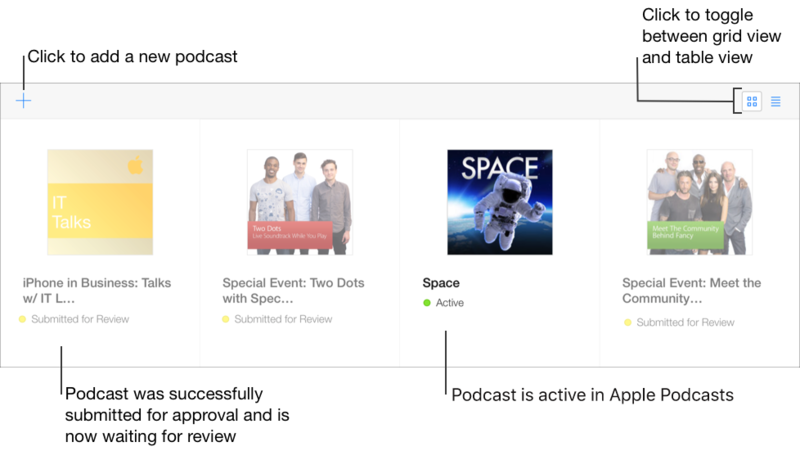 Podcasts Connect adds your podcast to the dashboard only after a successful submission. The information the iTunes Store displays about your podcast is based on your current RSS feed. Any changes you make to your RSS feed can take up to 24 hours to appear on the iTunes Store. For more information, head to iTunes Connect Resources and Help page.